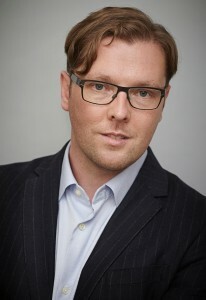 Damian Barr is the author of Maggie & Me, which the Sunday Times named Memoir of the Year. He is Literary Ambassador for the Savoy in London where he hosts his Literary Salon, which been going for ten years with hundreds of prominent guests including Bret Easton Ellis, John Waters, Colm Tóibín, Jojo Moyes, David Mitchell, and Mary Beard. The Salon has partnered with the BBC Short Story Prize and the Man Booker, Hay, and the Windham-Campbell Prizes. Barr is also Literary Editor of the Soho House group and appears regularly on BBC Radio 4. He is a Fellow of the Royal Society of Arts and was 2013’s Stonewall Writer of the Year. He lives in Brighton, England. His debut novel You Will Be Safe Here will be published in May 2019.